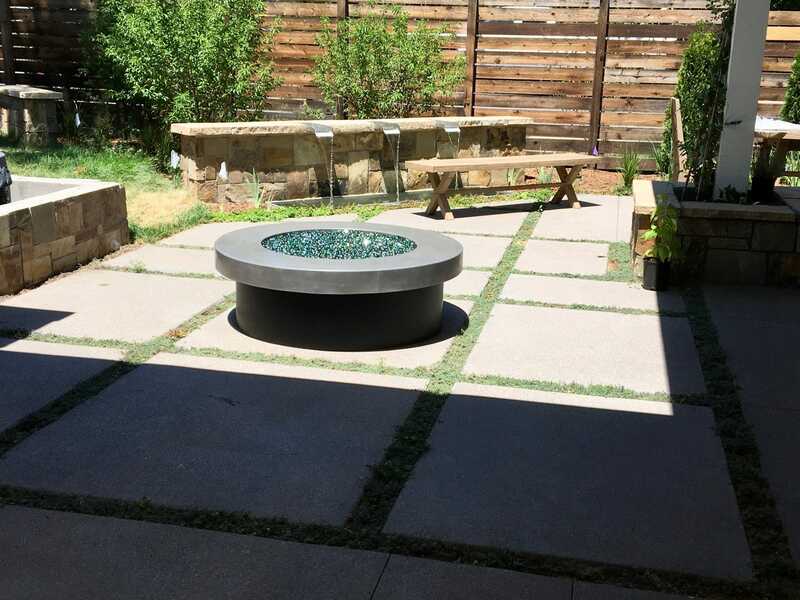 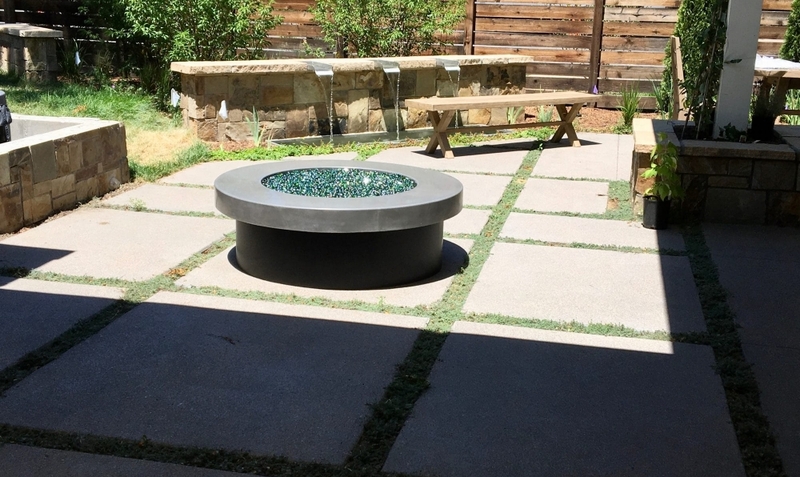 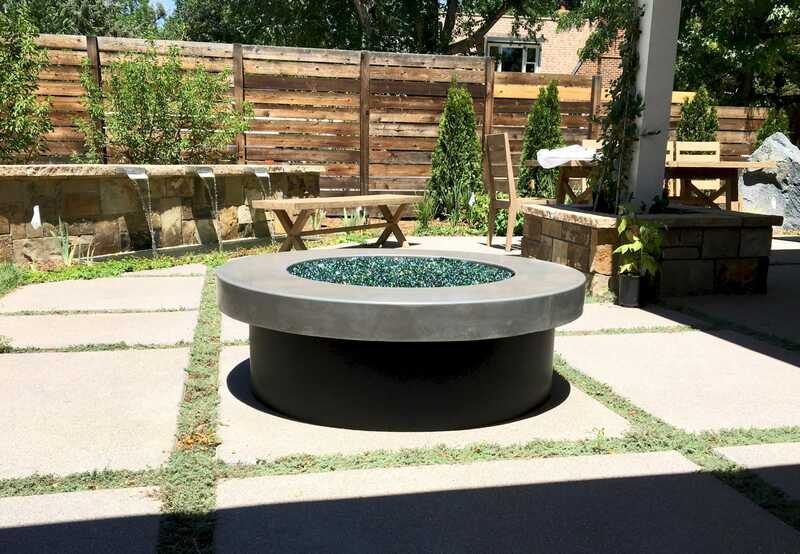 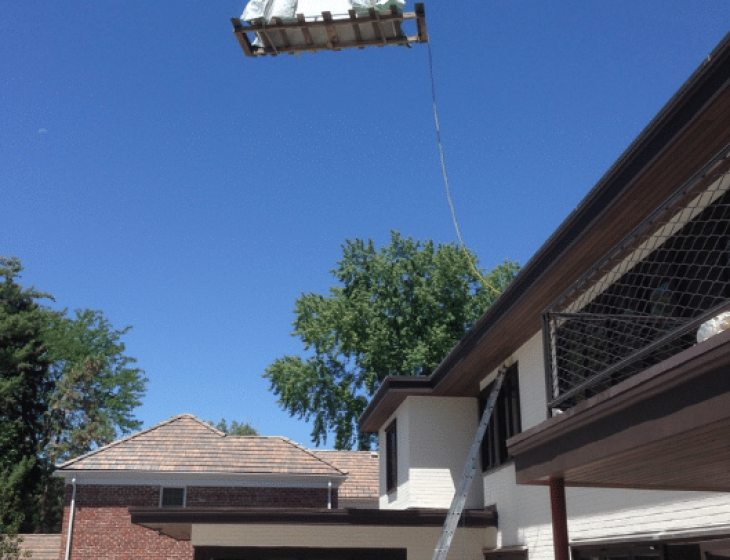 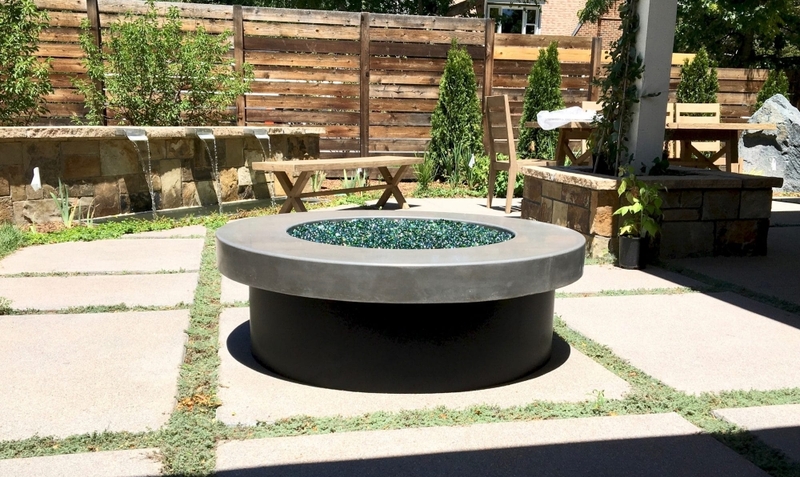 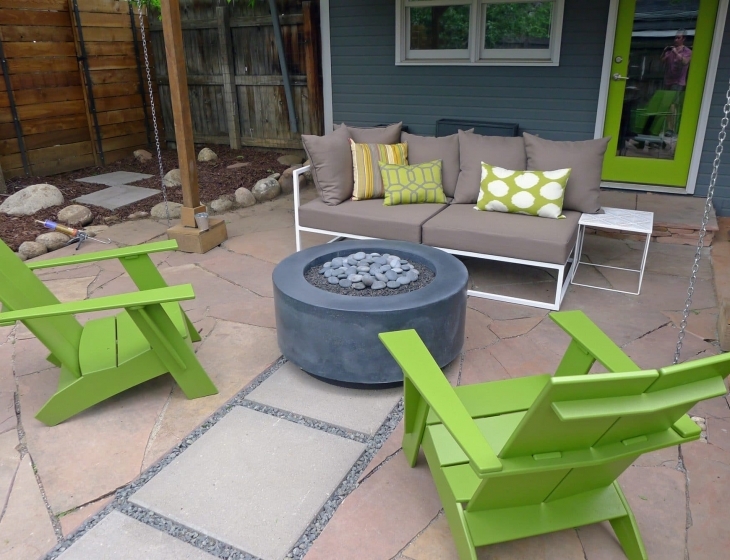 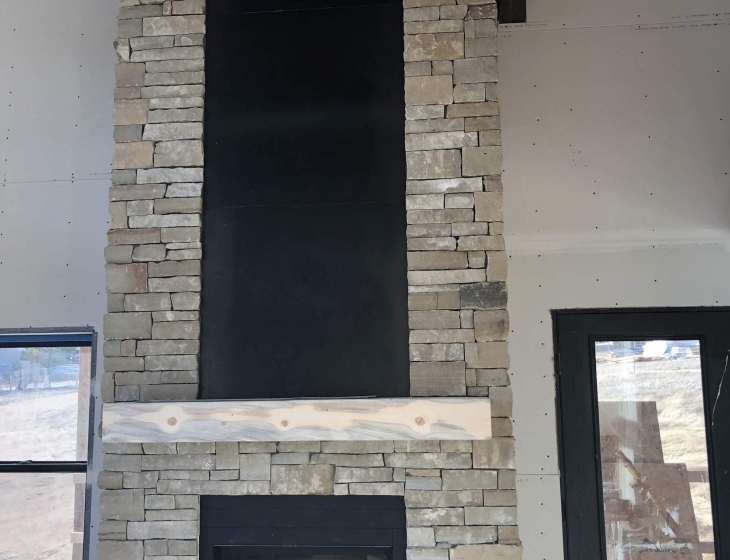 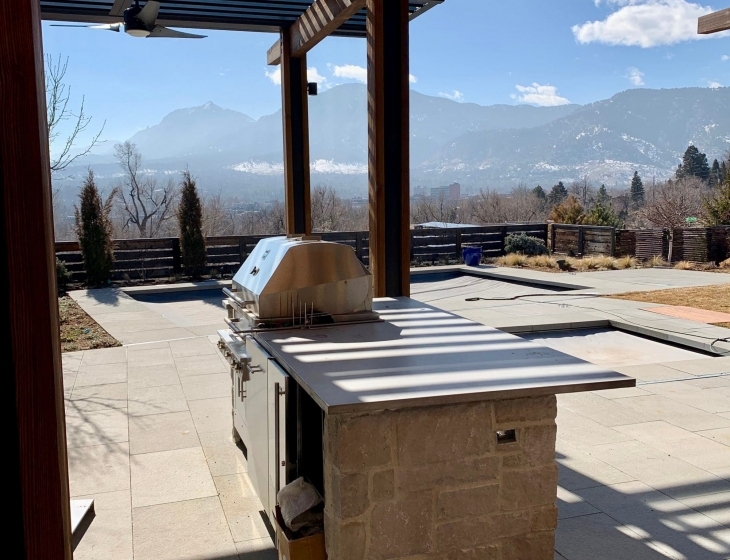 Custom fire feature for this Boulder Newlands backyard designed by Marpa Landscape Architecture. 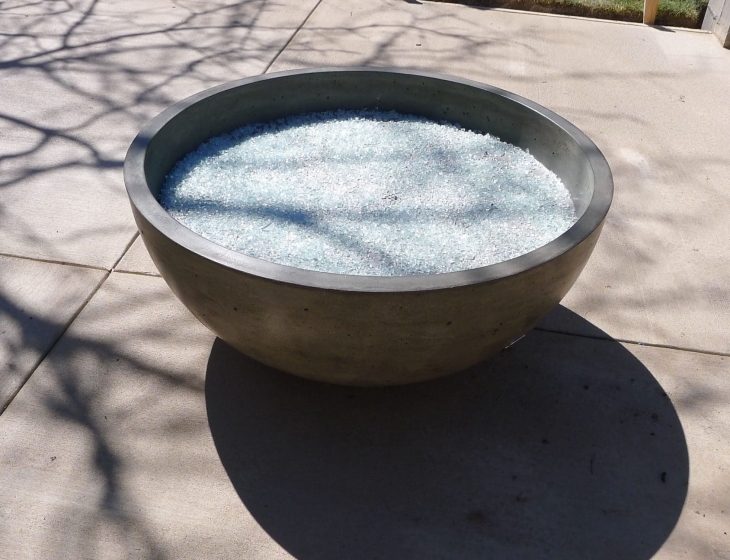 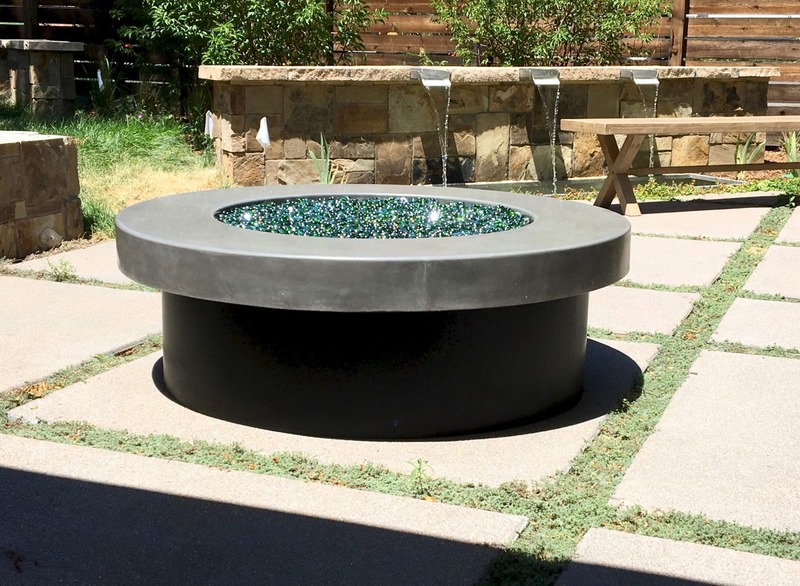 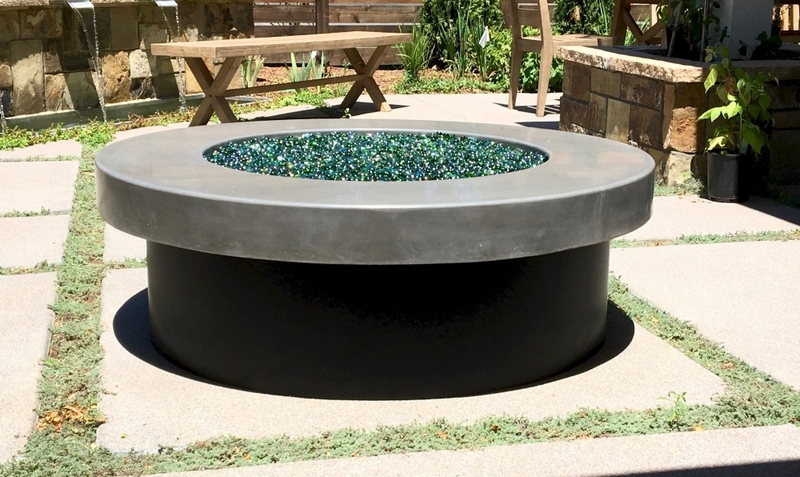 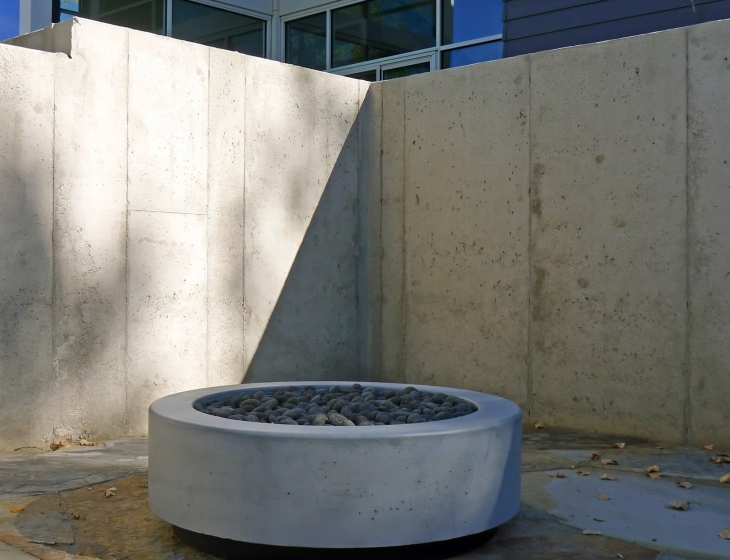 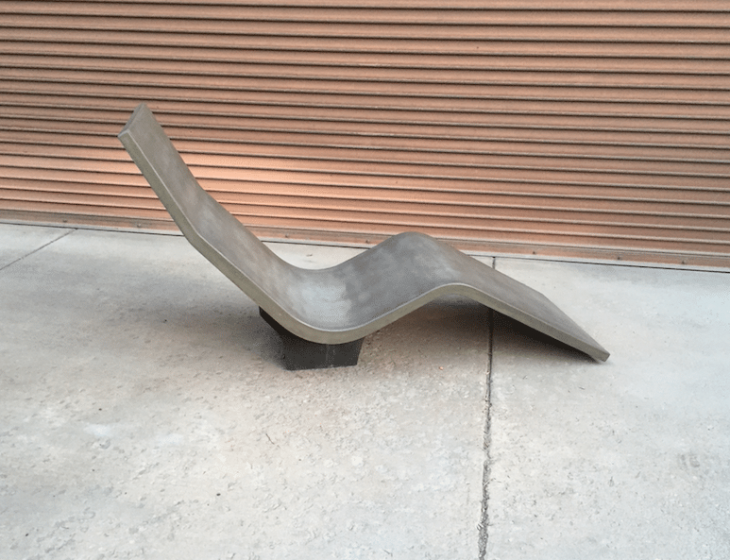 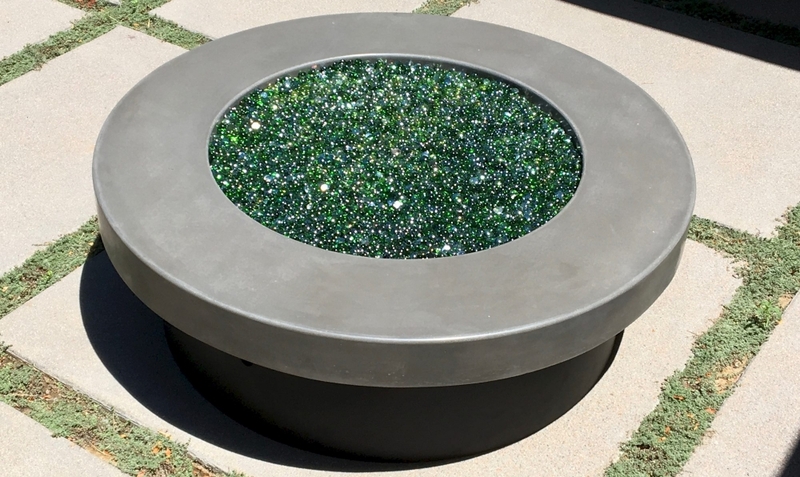 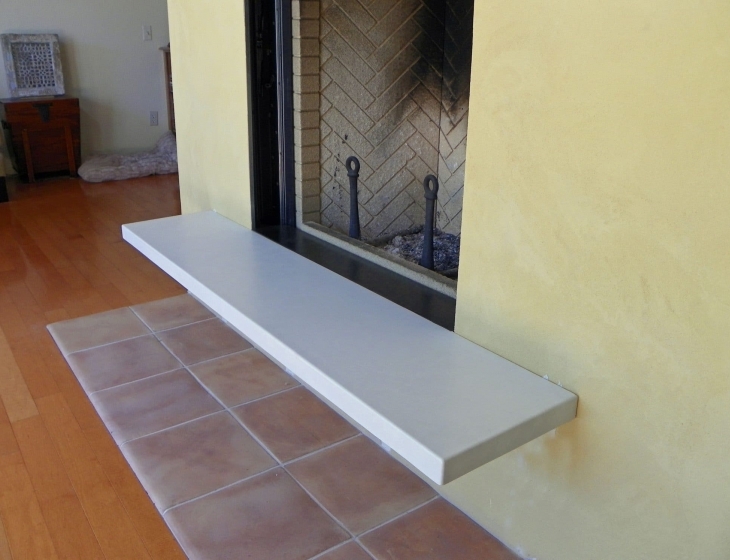 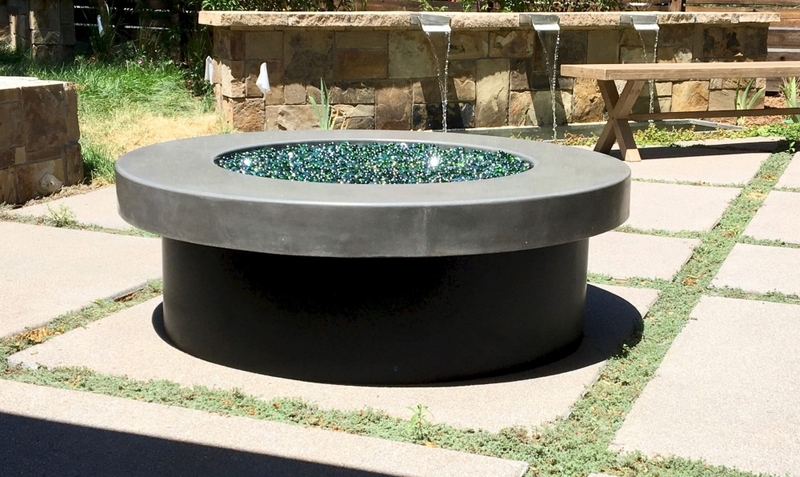 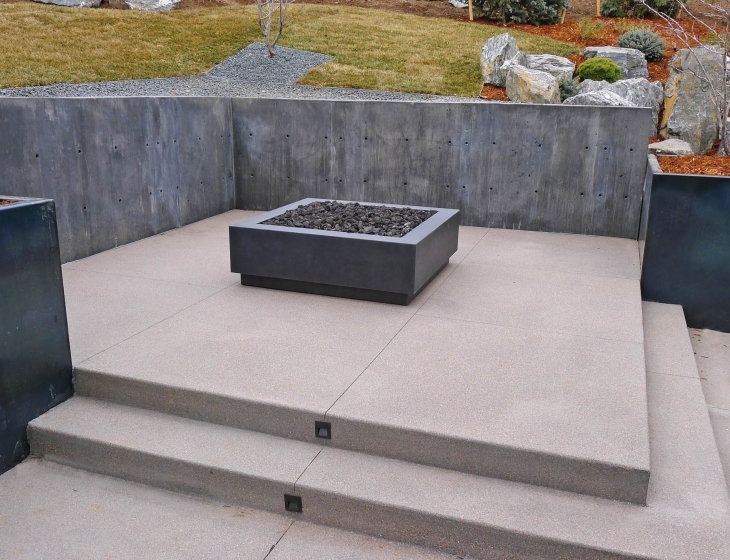 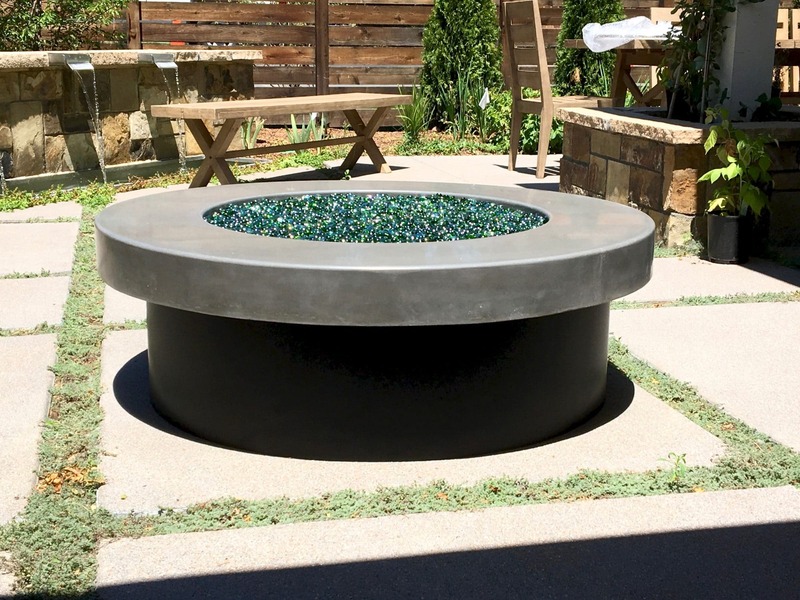 Natural grey concrete top with a matte black powder coated steel base. 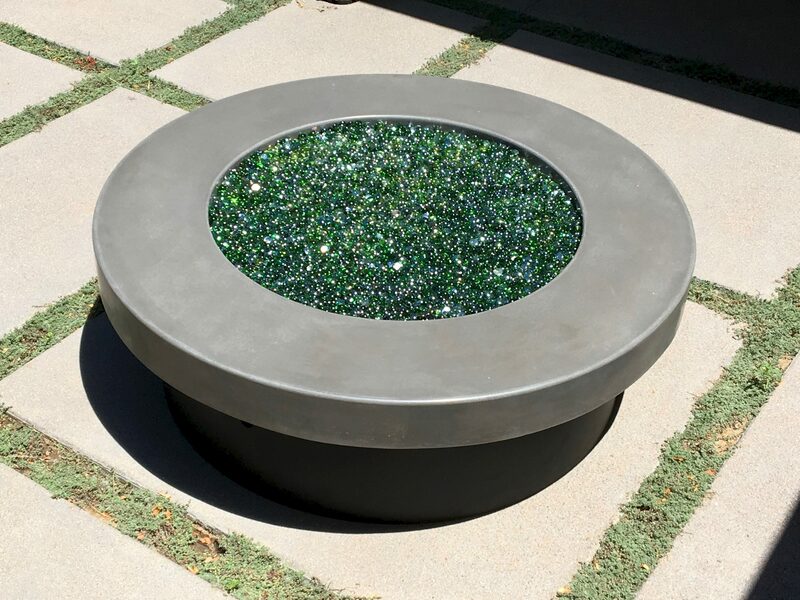 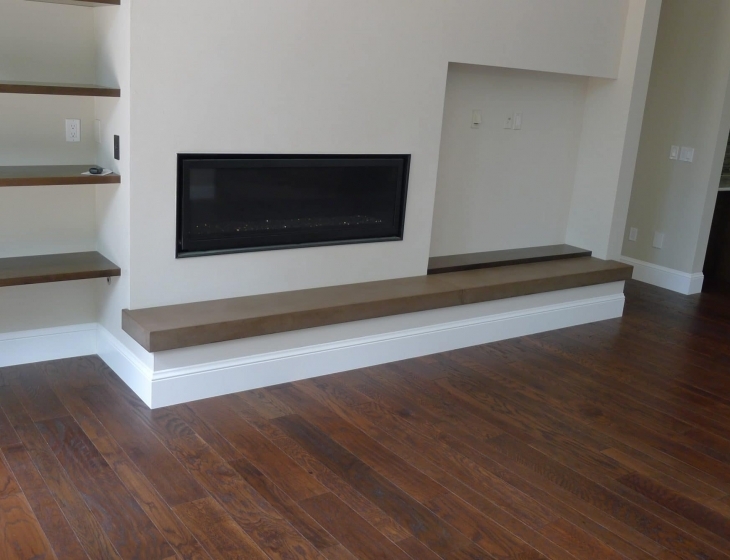 Green ‘lime luster’ fireglass completes the installation.